If you are a lover of dance then you will enjoy attending the NY ballet! Use our comprehensive guide to all New York ballet performances and venues. 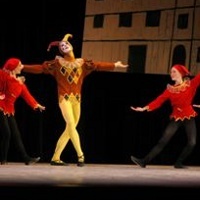 Find all the top performances of ballet New York has to offer when you use this FunNewYork.com directory. Dedicated to allowing young dancers a chance to perform in ballets with professionals, this dance company offers high quality performances which are a joy to watch. Performing regularly at the Hunting Center for Performing Arts, this company also performs at festivals and community events to help inspire a love for the arts in people of all ages. If you are looking for a great ballet performance in New York made up of both young local talent and professional dancers from around the country, this is the place for you! A Dance Company Dedicated to Sharing the Arts! This critically acclaimed dance company in New York has dancers from around the world with a passion and talent for ballet. See one of the Staten Island Ballet's fully staged performances at the College of Staten Island or one of the many venues that hosts this amazing troupe. In addition to four ballets each year, the Staten Island Ballet does many free and fund raising community performances in an effort to share their gift with as wide a range of people as possible. Find out more about their free performances and free dance classes for underprivileged children when you visit their website! Original Performances from this NY Ballet Company! This unique ballet company boasts one of the largest repertories in the performing arts industry. See this amazing group perform ballets ranging from Carmen and Cinderella, to the more modern Goya, the Spanish Master or I Will Always Love You. They regularly perform throughout New York state as well as internationally. Ballet classes for children are available at their NY studio as well as special training classes and master classes for those with a background in dance. The Ajkun Ballet Theater performs an average of 100 times a year so you are sure to find a performance to attend! The Brooklyn ballet is more than simply a dance group, it is a place for dance education, a community outreach and a bridge between cultures. The troupe has a large repertory of both classical and contemporary dance styles as well as some of their own unique mix of ballet and other dance forms. This New York ballet company can often be seen performing in their home performance space The Schermerhorn. Ballet classes are offered at the Brooklyn Ballet's school for all ages and abilities as well as Summer intensive classes. Check their website for schedules of classes and dance performances! One of New York's Preeminent Ballet Companies! This company of dedicated and passionate dancers is a joy to watch on stage. They can often be seen performing in the Metropolitan Opera House located in New York City. The American Ballet Theater performs in venues around the world as well as their native New York. See their website for a schedule of their unforgettable performances so you can watch this New York Ballet company take dance to new heights! This ballet company is dedicated to not only bringing performances to the public, but to educating others in this beautiful art form. American Ballet Theater's training programs are available at several times throughout the year for various levels of ballet. This talented New York ballet company has a goal of performing both classical ballets and contemporary works as well as ballets which younger viewers will find interesting. The New York theater ballet has created original ballets for children - in their family series people of all ages can enjoy watching various traditional fairy tales brought to life in Once Upon a Ballet. In addition to a national and international tour schedule, the New York Theater Ballet performs regularly in various venues throughout New York. If you are looking for a top New York ballet performance this is a great choice! See Performances by a Famous Ballet Company! This world renowned ballet company is made up of professional dancers passionate about their art. The company's goal is to make accessible to as many people as possible to the beautiful art form that is ballet, and to educate those with an interest in dance. The New York City Ballet performs often at their home theater, the David H. Koch Theater at Lincoln Center as well as nation wide and internationally. Take in a weekend matinee of such classics as Swan Lake or Coppelia, or attend a more modern performance such as one of the ballet's original pieces. Whatever you see you're sure to be impressed by the New York City Ballet! Great Ballet Company with a Varied Repertoire! Dedicated to sharing this beautiful dance form with as wide an audience as possible, this company performs four ballets a year at the State Theater in addition to touring throughout the state. You are sure to enjoy attending one of their classic ballet performances. The Ithaca Ballet is widely recognized as the premier ballet company in Upstate NY. Ballet classes for ages 4 through adult are held regularly, check their website for scheduling details! Original Ballets by this NY Ballet Company! This talented ballet company performs in a variety of venues throughout New York. Primarily presenting original choreographed pieces by artistic director Marla Hirokawa, Covenant Ballet Theatre of Brooklyn is sure to show you unique ballets which are both delightful and thought provoking. Bringing several new ballets to their audiences each year, this company keeps a large repertory. Also offering ballet instruction to all ages, Covenant Ballet Theatre of Brooklyn strives to foster an appreciation for dance in all its students and audiences. New York Ballet Company with an Eclectic Repertoire! This passionate and vibrant ballet company in Rochester has a reputation for excellence and a unique repertoire. You won't be disappointed when you attend any of the many ballets they put on each season. Dedicated to offering newly created works as well as classic favorites, whether you are a traditionalist or into modern dance there will be something offered by this ballet company that will please you. The Rochester City Ballet performs at venues around the city, primarily the Nazareth College Arts Center and Kodak Hall. In an effort to spread the beauty of dance to people who would not normally be able to attend a ballet performance, this dance company performs many ballets and dress rehearsals at schools throughout the area as well as holding occasional free events. Founded in 1979, the Rebecca Kelly Ballet has a history of presenting only the highest quality performances by top dancers. This ballet company is made up of a very international cast and each dancer brings something special from his or her background. With a repertory of both contemporary and classic ballets, there is always something different to see from this dance company. The Rebecca Kelly Ballet company can regularly be seen performing at the Gerald Lynch Theater at John Jay Theater, the Danny Kaye Playhouse, the Duke on 42nd Street, the Joyce Theatre, and the Ailey Citigroup Theater. Visit their website to see what ballets are being performed this season! Founded in 1995, this ballet company is dedicated to enriching the community culturally by putting on regular ballet performances and by providing educational opportunities for all. By performing both traditional ballets and original self-produced ballets this ballet company is able to display the range of their talents to the public. Lumiere Ballet performs throughout New York, including free performances in Tanner Park, each season. Throughout the year classes are offered to all ages, and students are given the opportunity to showcase their talents in recitals and shows.